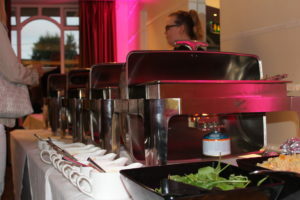 Castle Chafer holds your Buffet 15 – 20°C hotter than standard chafing dishes in breakfast service, BBQ’s and buffet service with wet and dry foods. It maintains your food at the perfect temperature to ensure that your customer is served your food exactly how you prepared it. Castle Chafer holds 50% more food than traditional chafers, so it doesn’t need to be refilled as often. 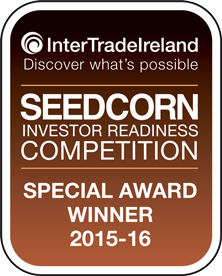 See our Cost in Use Comparison and see how much you can save. 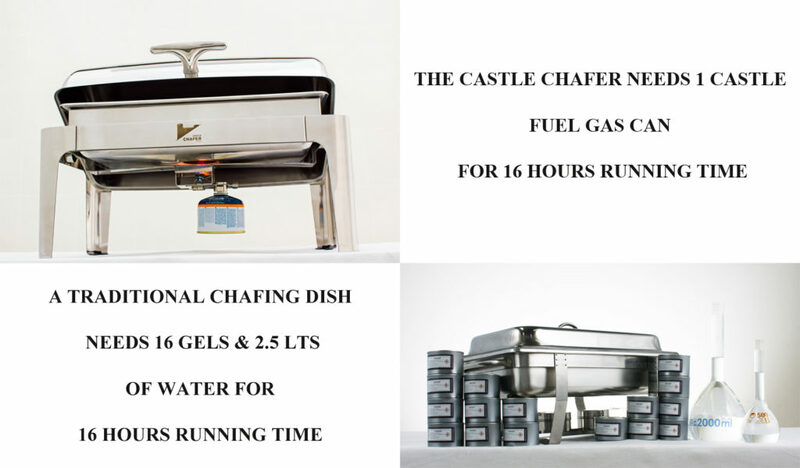 A traditional chafing dish needs 16 gels and 2.5 litres of water for 16 hours running time whereas the Castle Chafer operates on one gas canister and no water. This image shows the traditional chafer on the right losing heat from the dish. While the Castle Chafer on the left shows the heat staying exactly where it is needed, in your food pan. 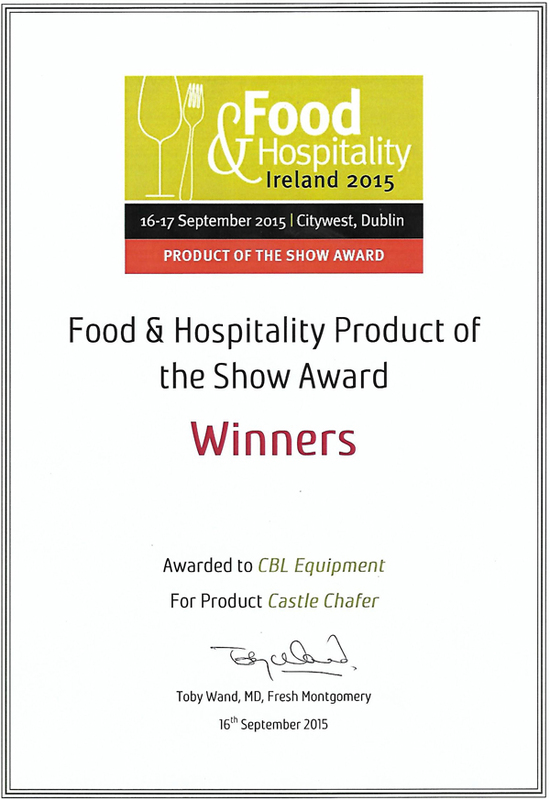 Castle Chafer has been independently tested by Carlow Institute of Technology and proven to be 75% more efficient than traditional chafing dishes. 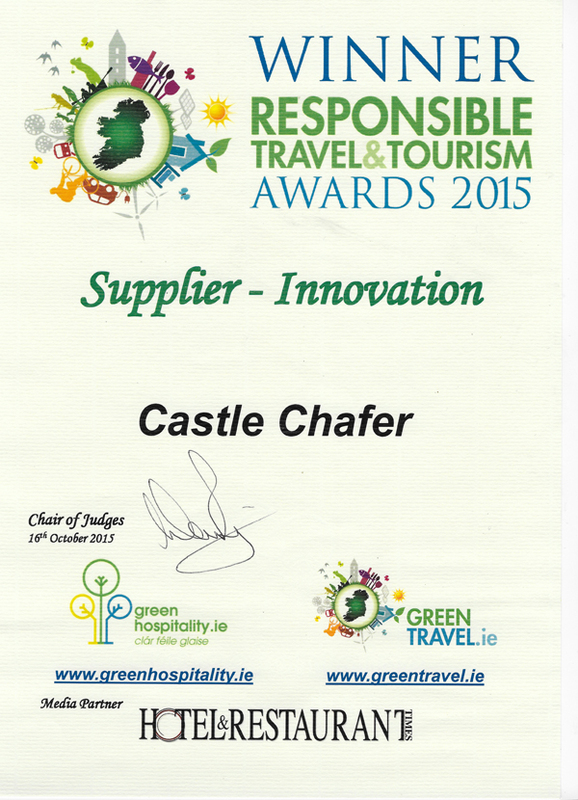 Castle Chafer uses gas so there is no waste. 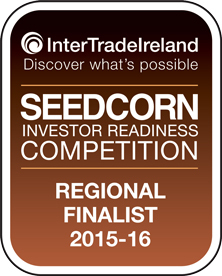 Report into The Efficiencies of Castle Burner by Carlow Institute of Technology. 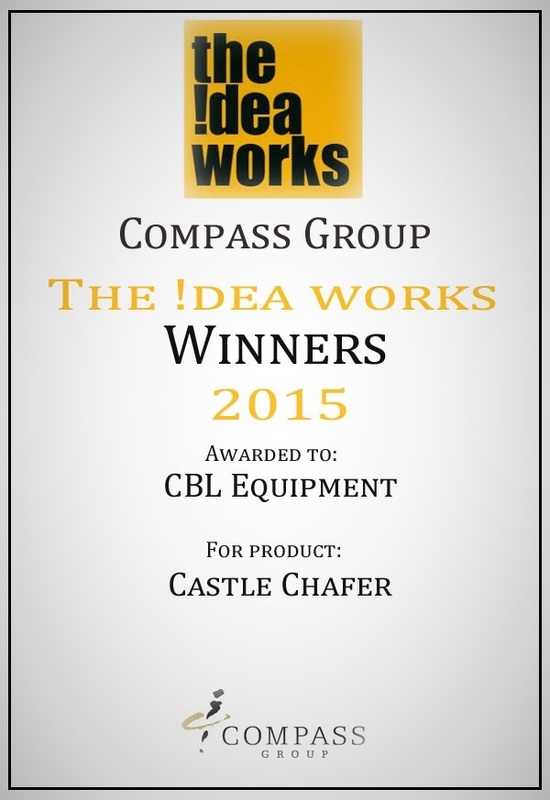 Castle Chafer does not require water therefore no time is consumed in boiling water on set up. Castle Chafer is ready for service 10 minutes after lighting. Outdoors or indoors there is no requirement to set up Castle Chafer on a level surface – instant set-up and instant shut down. 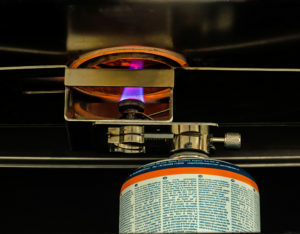 Castle Chafer is easily relocated during service – just turn off the gas – no water to spill in transit. Castle Chafer has been fully tested and the entire system is CE Certified for sale in all European countries. The Castle Chafer heat source is locked into place so the flame is not easily knocked over or extinguished during service which is an increasing concern in the food sector. Fondue and related food services have been involved in a number of fire incidents where the fuel source has been knocked over or the oil used has spilled. Because the Castle Chafer’s burner is locked in place and does not use oil your customers are much safer with Castle Chafer. Castle Chafer is fully insulated which dramatically reduces the temperature at the sides of the dish for safer handling during and at the end of service. 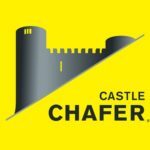 Castle Chafer’s insulation of the food pan means that when the gas runs out food temperature will be maintained for up to 30 minutes allowing for greater food safety when changing canisters in service. There are no disposable requirements for left over fuel. Due to greater efficiency CO2 emissions are reduced by 84%.